Neil Gardner is the Chief Customer Officer for Generali Asia. He is responsible for Marketing, Branding and Communications, Digital and Analytics, and integrating Operations as part of the overall customer experience. 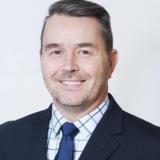 Neil has over 25 years of extensive experience in the Banking and Insurance industries, especially in customer centric roles, having worked with GE Money, Citibank and AIG in Asia. His career has a focus on a broad range of Marketing and Customer insights roles with significant experience in Direct Marketing. Prior to joining Generali, Neil worked for AIG for 4 years, in his regional experience as CMO APAC, he gained a deep experience of the P&C business and focused his efforts on delivering growth through tight management of the customer journey. Neil started his career in the UK in the retail and finance industry. He holds a Mathematics and Computer Science degree from De Montfort University in the UK.